After what seems like several months of nonstop rain (and flooding) here in East Texas, the rain finally stopped long enough for me to do a little summer patio refresh project. Usually by late April or early May, our back patio is all set and ready to go for the summer but this year, I’m getting such a late start. I’m hoping that the rain will finally go away and we can get outside and enjoy the summer. 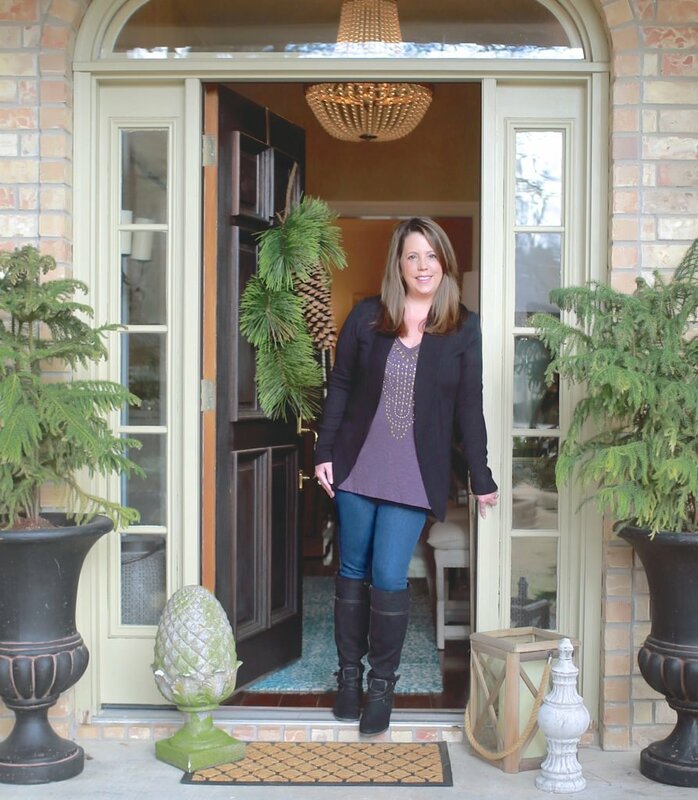 I wanted to share a few creative patio refresh tips today and also tell you how to get the best deals on patio furniture and outdoor accessories. 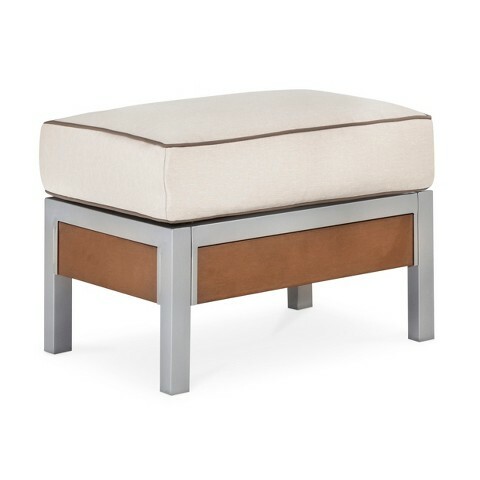 The great thing about many of the furniture pieces that I have been using on my patio is that they are yearly staple items at Target and every year, I add more pieces as they go on sale. Over the years, I have slowly added new furniture patio furniture pieces. 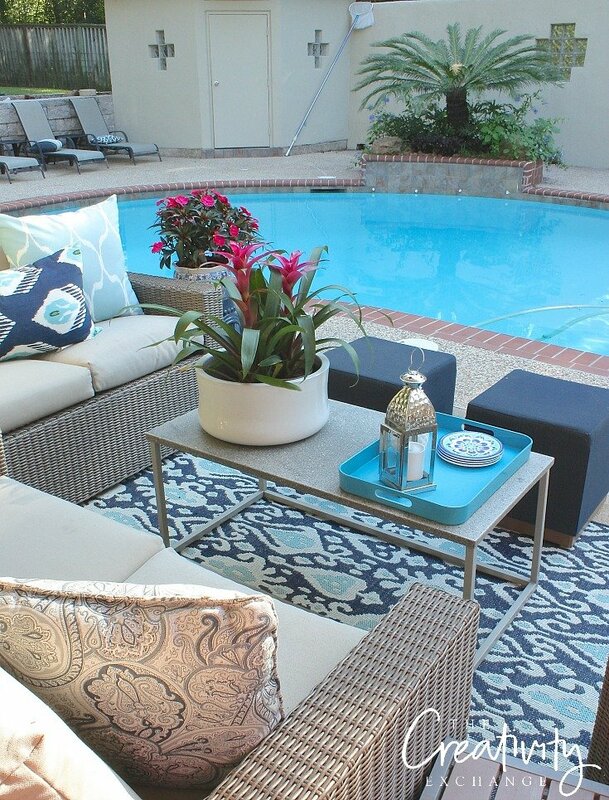 I have tried several different types of furniture materials (coated metal, teak and heavy duty fabric sling pieces) but nothing would hold up more than a year in this intense Texas sun and heat. It was very frustrating having to throw away expensive outdoor pieces after a year that rusted and just fell apart. 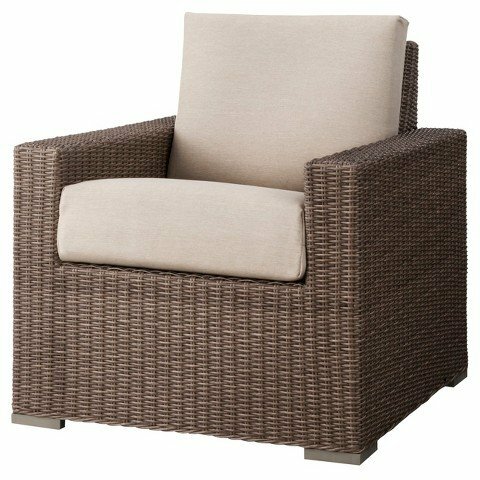 Finally, a few years ago, I tried a piece from Target’s Wicker Threshold (affiliate link) outdoor furniture line to see if the thick plastic coating on the wicker would be durable enough for us, and not only did it hold up (a year later), it still looked brand new! Halleluja! In fact, I have several pieces now from the line that I have had for a couple of years and they still look brand new! An easy trick for saving money if you want a larger patio sectional style seating is to buy multiple love seats. I have been slowly building a sectional type layout on my patio out of the Threshold love seats. Each year, when they go on sale, I buy one love seat and add it. This next week, I will be buying one more and using the club chair elsewhere. The third love seat will finally give me a huge sectional type seating at a fraction of the price of what a patio sectional costs. Plus, it will be twice as much seating than traditional sectionals in the 3/4 square layout that I have. 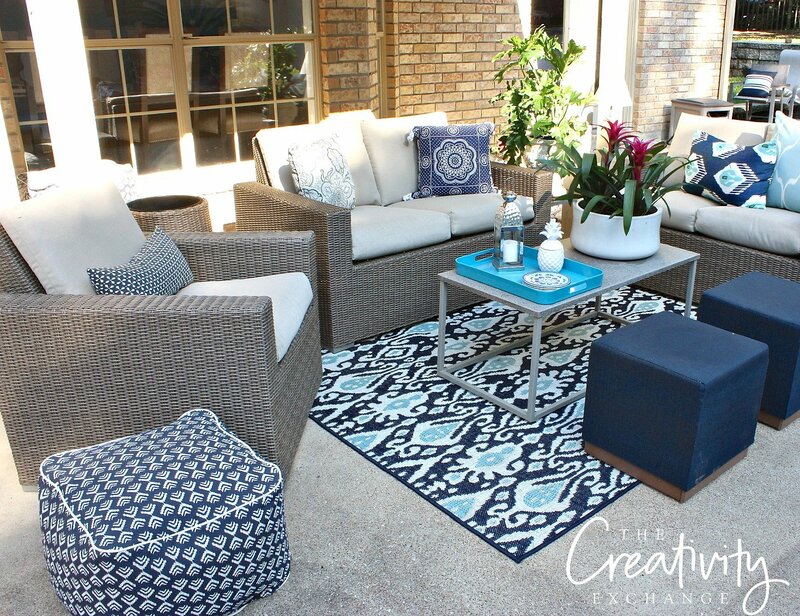 Another trick for patio furniture layout is to considering basing your layout on a circle or a square shape (even if you do not have matching pieces) with plenty of walking room to the seating. This is great for conversations, so everyone is included and it’s also a symmetrical layout. Even if you have a mix of furniture pieces, by placing them in a circle or a square design, it looks balanced and it works great for entertaining. 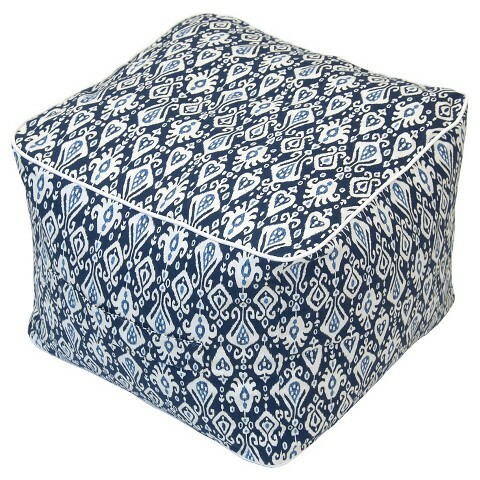 Lower to the ground pieces like outdoor poofs or cube ottomans are also great to work in and have around for additional seating. 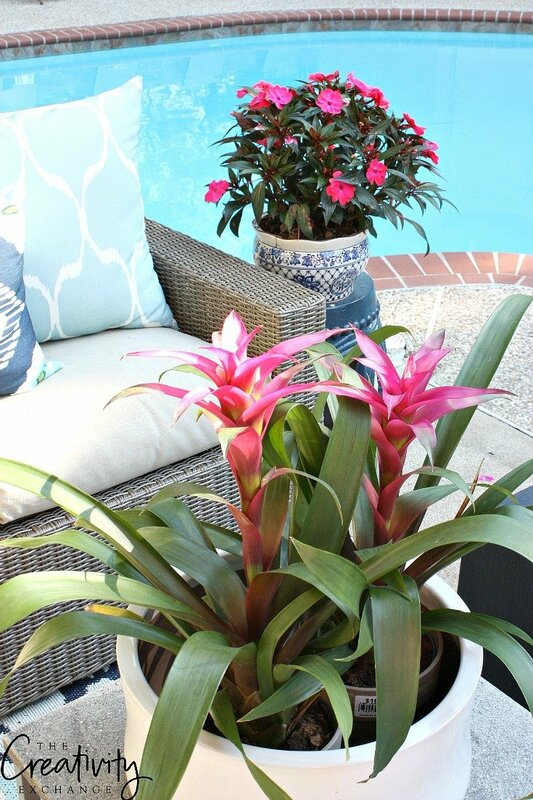 They are an inexpensive way to add more seating out on the patio and they can be moved around easier than larger chairs. If you’re wondering when the best time to buy patio furniture and get the best deals, the time is right about now. 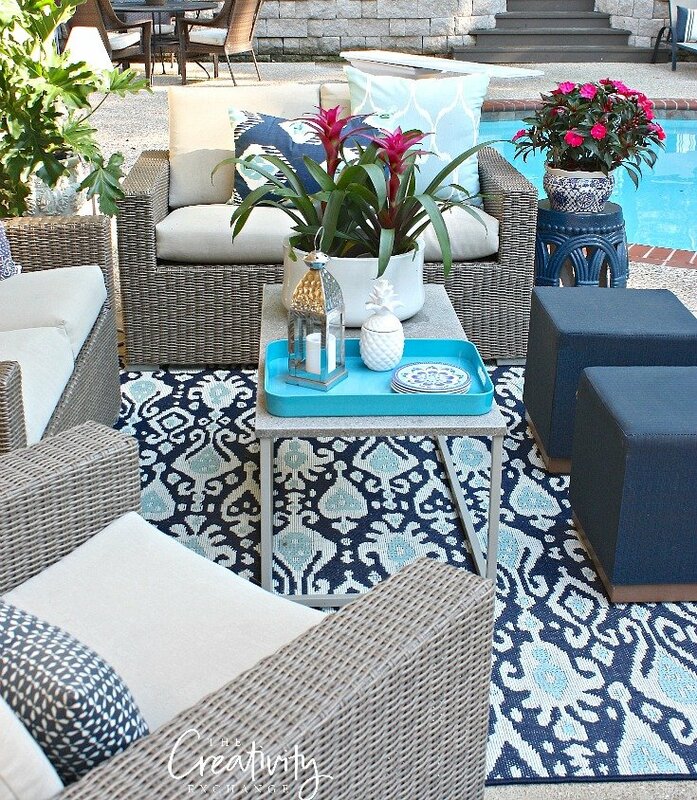 Stores like Target and Pottery Barn have are just getting started with their markdowns on outdoor furniture pieces. I’m already seeing many great furniture pieces discounted at least 25-30% off. In the next two weeks, Target will quickly jump to 50% off because the fall stuff is already arriving (according to my local store). Even if pieces say that they are sold out, go into your local Target to see what’s left. 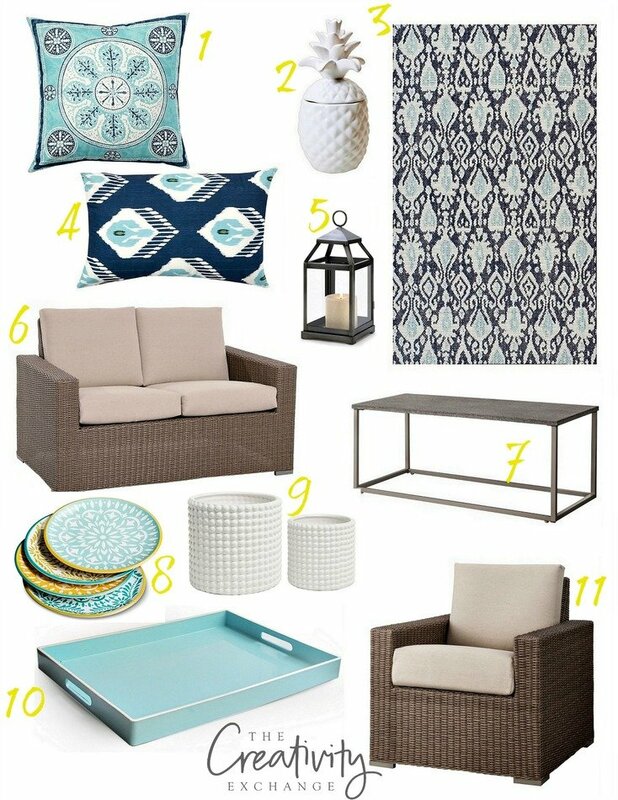 If you’re interested in the sources for all my patio furniture and accessories, I have them listed below and linked (affiliate links). 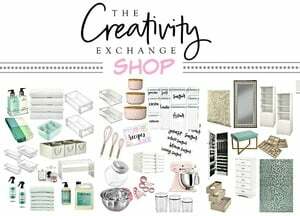 I wasn’t able to locate all of the pieces but I’m listing some great alternatives if I can’t find a piece. As you’ll see, many of these pieces are marked down already. The links are directly below the image. **This post contains affiliate links, which means I receive a small commission if you make a purchase using this link.